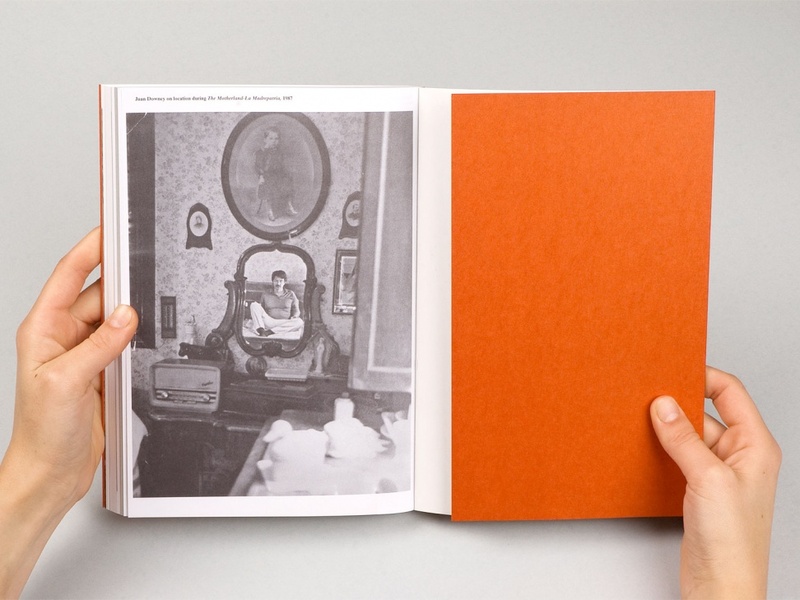 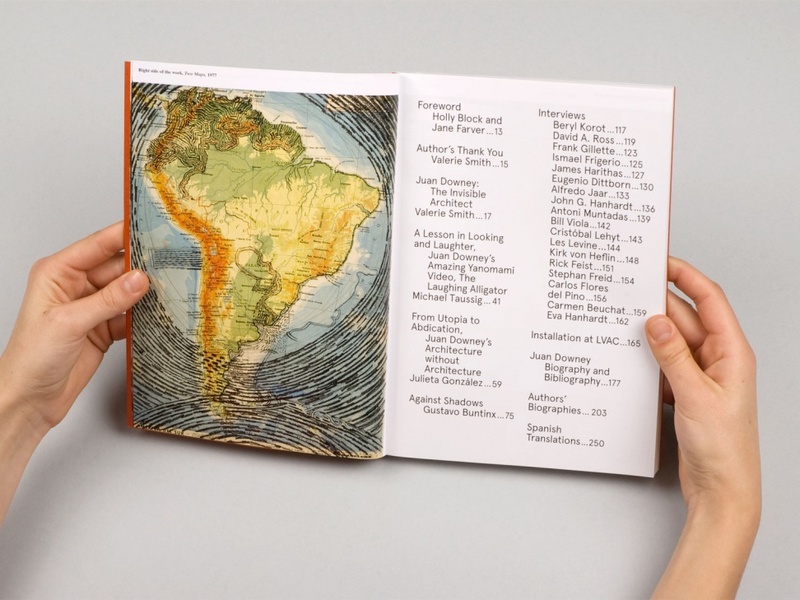 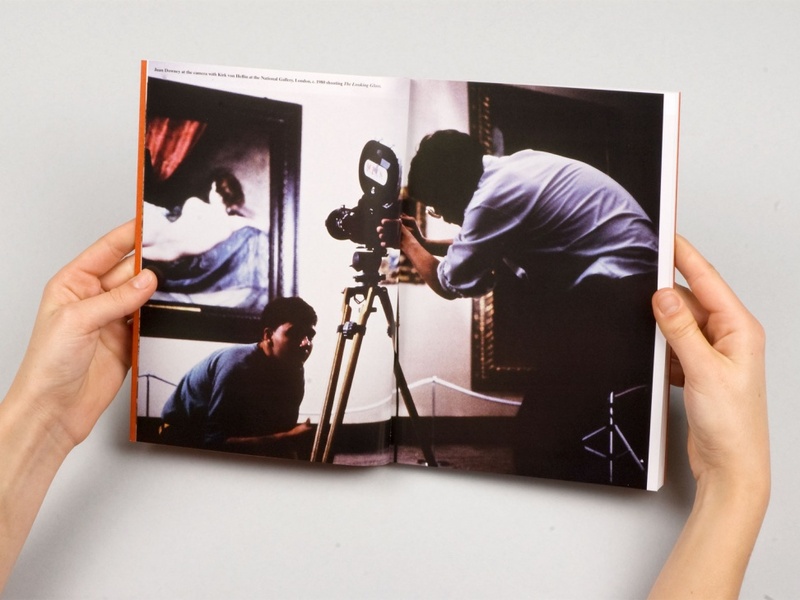 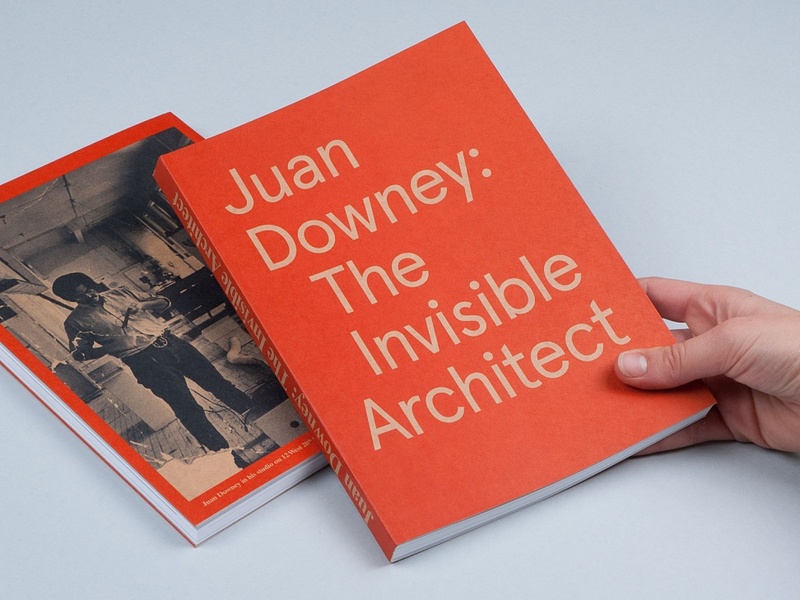 The design for this book was conceived in close collaboration with curator Valerie Smith and reflects the variety of Downey’s œuvre – an artist who was also a teacher and a filmmaker. 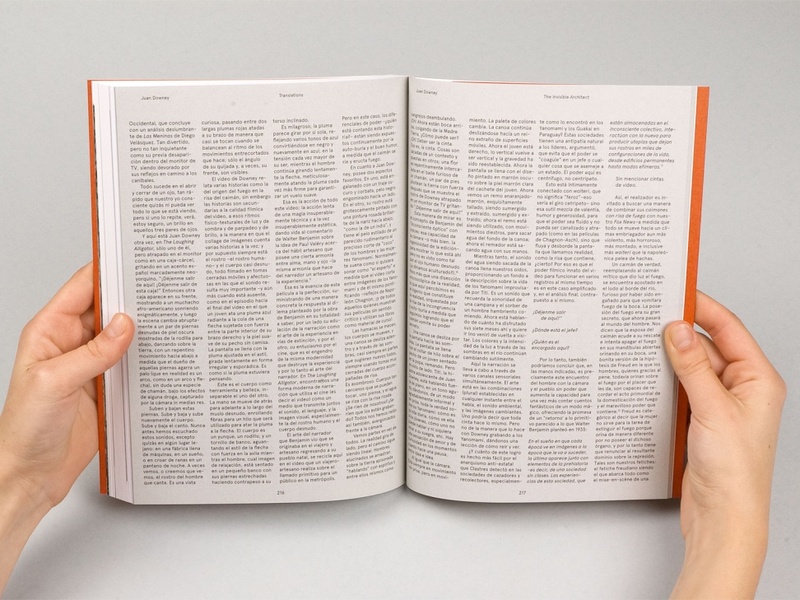 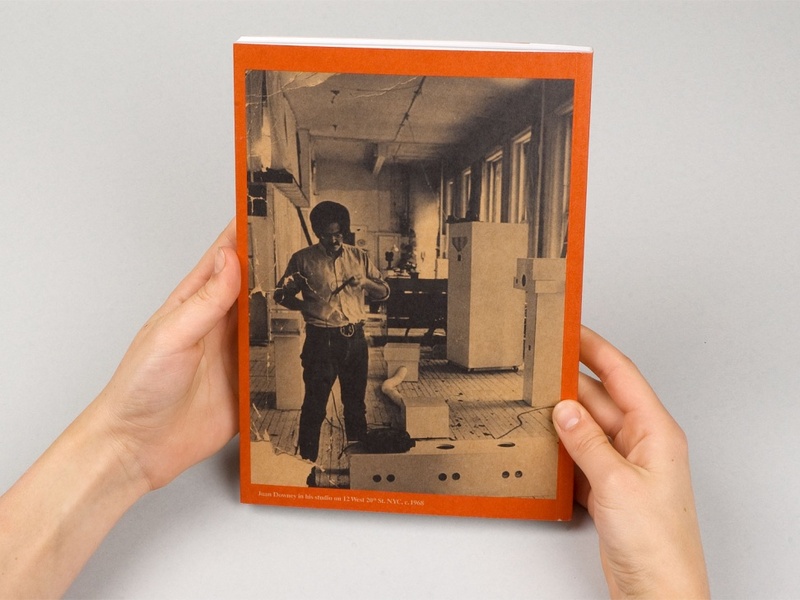 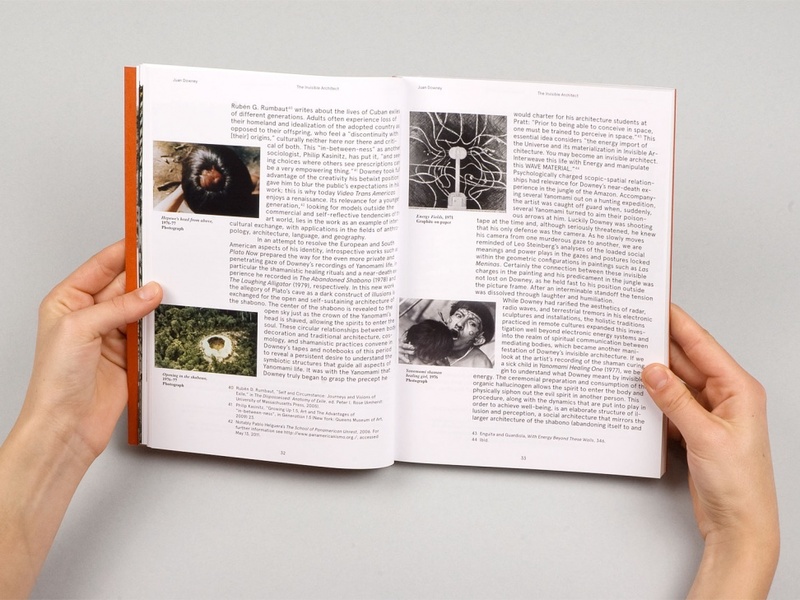 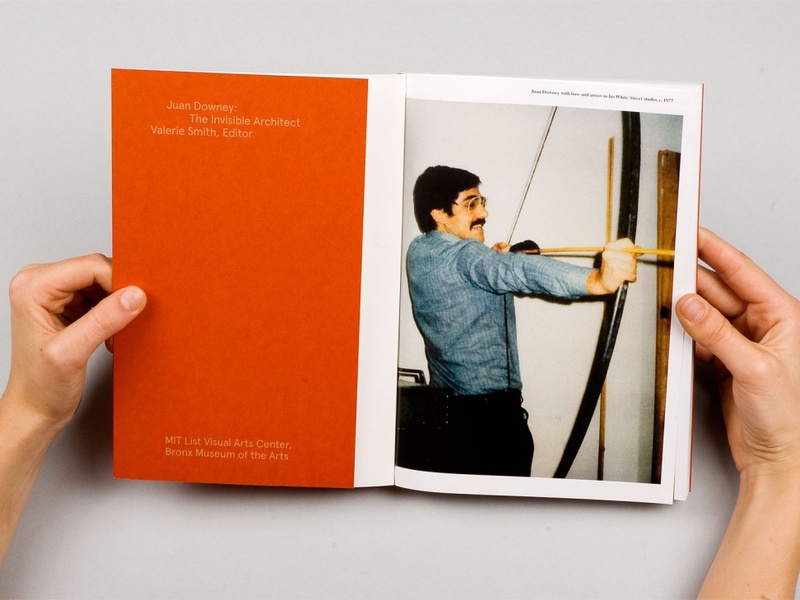 The publication is set up in a dense layout, structured by different sections: essays and interviews next to photo documentation of the exhibition Juan Downey, The Invisible Architect at MIT’s List Visual Art Centre in the summer of 2011. 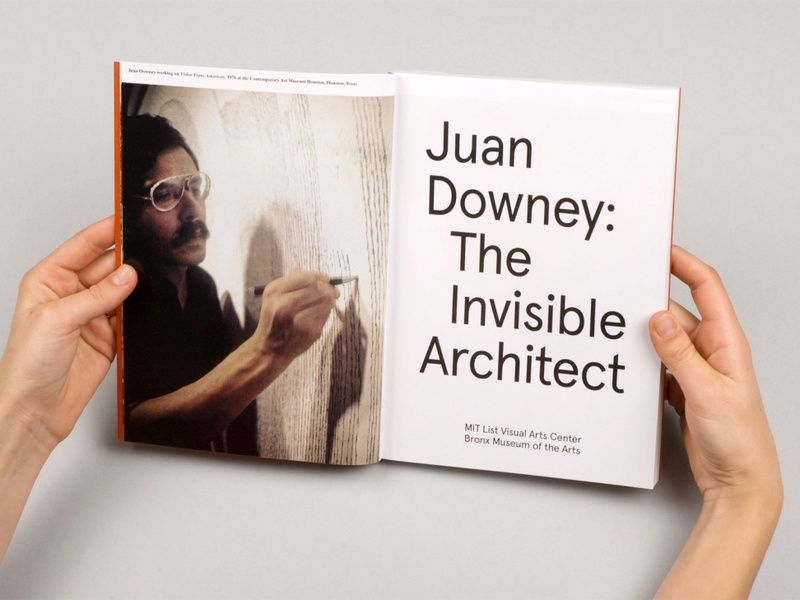 The back cover of the book shows Downey in his NYC studio. 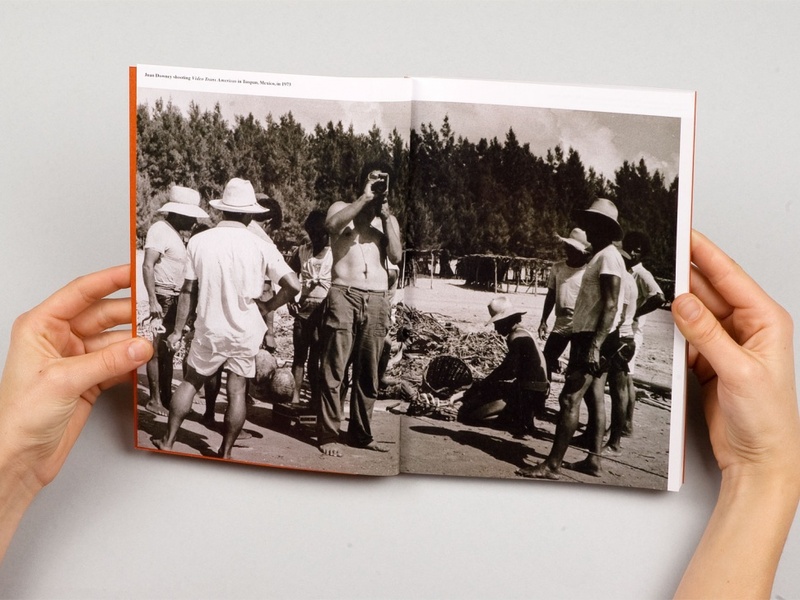 The monochrome photo is printed on brownish cardboard, a nod to Downey’s youth as a screen printing artist.